A new genetic study has added more evidence to a decades-old association between blood type and the risk for pancreatic cancer. Close to 42,500 men and women are expected to be diagnosed with pancreatic cancer in the United States this year. Because there is no effective screening test for the disease and it is often not detected until it has spread, the five-year survival rate for people with pancreatic cancer is only about 5%. The new results, published online this week in the journal Nature Genetics, represent one of the first associations of a common genetic variant with this deadly disease. Researchers from Harvard and the National Cancer Institute studied more than 4,300 people with pancreatic cancer and 4,500 controls. They found that each copy of the C version of is associated with 1.2 times increased odds of pancreatic cancer compared to two Ts at this SNP. The study subjects were mainly of European descent, but this association was essentially the same when the small number of people from other ethnic groups (mainly Asian and African American) was also included in the analysis. The non-risk T version of this SNP is linked to the variation in the ABO gene that results in type O blood. People with two Ts are type O. The riskier C version of the SNP is found in people with type A, B and AB blood. Epidemiological studies from the 1950s and 1960s, as well as more recent reports, have suggested that people with type O blood are at lower risk for pancreatic cancer compared to those with type A or type B blood. Finding the association of with the disease in a genetic study adds more credence to these previous results. What’s still not understood, however, is why people with type O blood are less likely to get pancreatic cancer. In their concluding remarks, the authors of the study stressed the need for further research into the genetic risk factors for cancer of the pancreas. “As there are few known risk factors, improved diagnostics and a finer understanding of the molecular pathogenesis are urgently needed…. 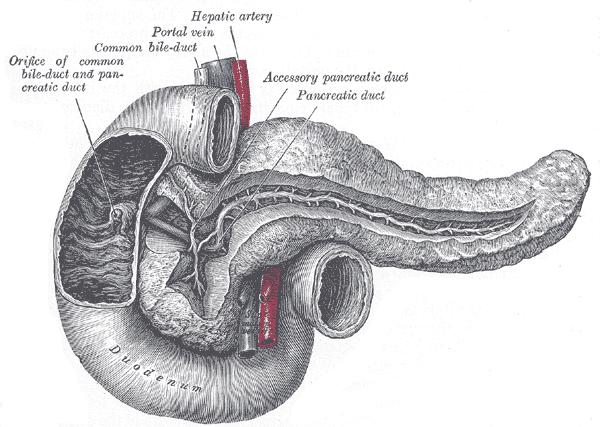 The discovery of additional genetic risk variants for this highly lethal cancer could contribute to improvements in … prevention, early detection and therapeutic approaches to pancreatic cancer,” the authors write.